We at Jaydeep Steels are known to be one of the highly renowned Inconel Fastener manufacturer, exporter, and supplier for worldwide based customers. No matter which variety of Inconel Alloy Fastener you are searching for, Jaydeep steels is the premier source for your needs. To ensure that our fasteners meet your exact application requirements while maintaining their corrosion resistance properties, we make us of top-class grades like 600, 601, 625, 718 etc., for the manufacturing of the Inconel Fasteners. These grades of Inconel offer various other advantages like proper functioning in high-temperature applications, oxidation resistance properties, higher strength, better ductility, outstanding workability, and much more. 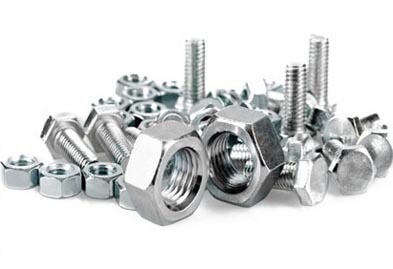 We have a stock of wide varieties of Inconel Fasteners like Inconel Nuts, Inconel Bolts, Inconel screw, Inconel Washers, Inconel Stud Bolts, Inconel Cotter pin, Inconel socket screw, and much more. Our fastener plant has wide varieties testing facilities like the tensile test, hardness test, IGC test, Positive material Identification test, and much more, which are performed on our fasteners to make sure that the product going out is of the nest quality terms. It becomes mandatory for us to make use of cutting-edge technology and to adhere to the various international and national quality standards while the manufacturing of the Inconel Alloy Fasteners. Our team members are highly experienced and skilled in this very particular field itself, and hence every production process is checked over by them. We have a specific commitment towards delivering a quality product, timely delivery, competitive price, etc., which all together ensure that our customers get the maximum satisfaction. 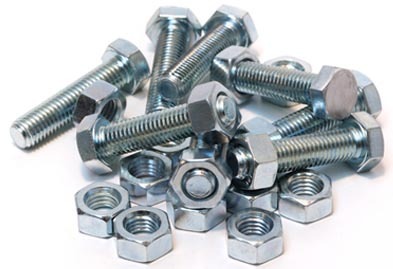 Contact us today to get best in class Inconel fastener products at leading market prices. Jaydeep Steels stocks a wide range of materials and grades. Below is a list of all standard inconel fasteners materials and grades we stock. Our experienced team of metal experts will get you the metal you need when you need it. Call us today for your Inconel Fasteners Needs!